Our Partners and Teachers are dedicated to providing you with the best quality classes where you will not only learn real skills but they also make sure you also have fun. Rene is our ColourWheel Partner in Maidenhead and Windsor. 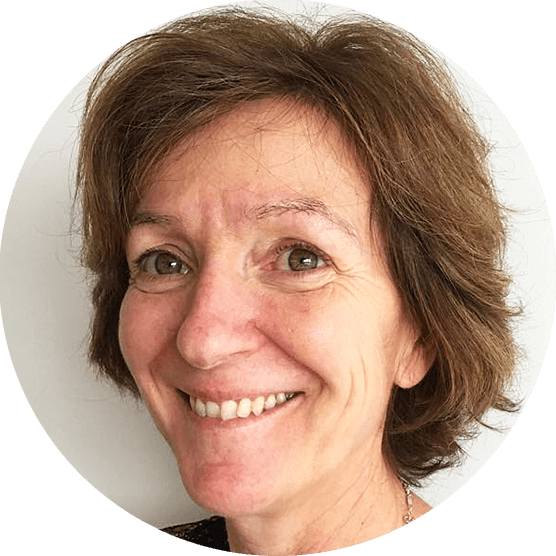 Rene has enjoyed a rewarding career as a Food & Nutrition teacher in secondary schools for 24 years. She lives with her husband in Windsor, with her daughter now grown, she transitioned into adult education for a change of lifestyle. 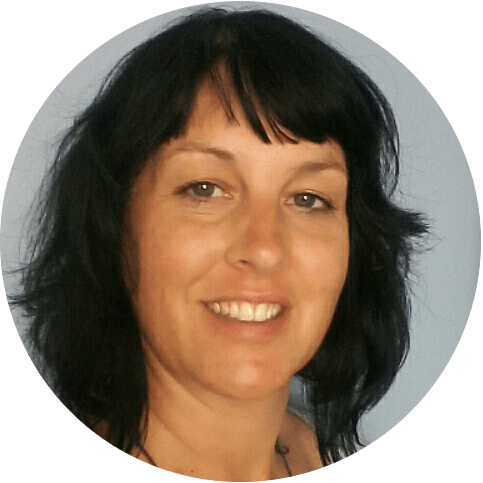 Rene who is originally from South Africa has travelled extensively, living in the US and Australia. A very creative person, she collaborates with her teachers to ensure lessons are informative, enjoyable and uplifting. Rene enjoys meeting new people, she creates a sense of community within her classes, believing the social aspect of art class compliments the tuition to create the perfect environment for creativity and friendship. She looks forward to welcoming you to class. 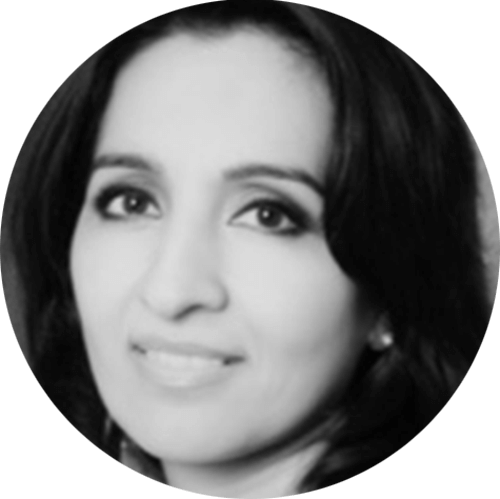 Inge is a professional painter and enthusiastic teacher with 15 years teaching experience, including painting, life drawing, illustration for fashion design as well as art and design history. She completed her B.A. Hons. Degree in Fine Art and History of Art in Cape Town, after which she changed direction and became a qualified cabinet-maker, eventually starting her own furniture design business. Painting called her back however, and she has been painting and teaching art full time since 1999 working with people of all ages and abilities. She has had 3 solo exhibitions and many group shows, she was recently one of the finalists in an episode of Sky Arts’ Portrait Artist of the Year. Inge specialises in figurative, narrative oil painting. Steve is our Partner for the Butlers Cross daytime and evening class, he has a wealth of experience managing the teams delivering a first class customer service experience in often difficult situations. The move to ColourWheel is a breath of fresh air for him and allows him to work with his passion for art. 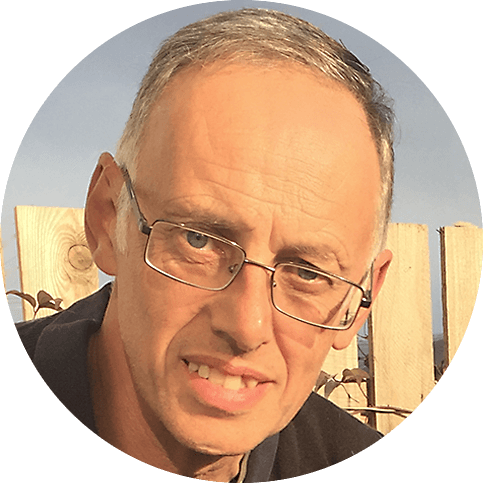 As well as art, Steve has many hobbies and interests and he has recently completed an Open University degree in Humanities. He is a father of two and is very involved in the local community, serving on several committees that serve the local youth groups. Nina originally studied Art and Design in the UK before travelling to South Africa, where she worked as a graphic artist and silk-screen printing artist. She then started her own business painting murals for private homes, restaurants and schools, as well as selling her own commissioned paintings. After returning to the UK, she delivered her own creative workshops and has taught life drawing to GCSE students and adults in the community. Her own work is an eclectic mix influenced by her travels in different parts of the world. She is passionate about art and loves to inspire others into becoming new artists themselves! Heidi lives with her family in Romsey and her daytime and evening classes will be held locally. Heidi graduated from Portsmouth University with a BA in International Finance and Trade. She since met her husband and now has two children, aged 12 and 8. Prior to joining ColourWheel Heidi has experience of running her own restaurant business and is now very excited to be facing a new challenge. Along with her busy home life with her family Heidi loves to cook and tries to make time for sport. She has a love for art and her dream was to go to art school. Her practical side won the day but her creativity has never left her and she not only enjoys creating art herself but loves watching others grow and develop their skills. Chris went to the Falmouth School of Art where he did a Foundation Course combining Fine Art including painting and printmaking. He then went on to Chichester, University of Sussex where he did his degree in Art and Related Arts gaining his BA Hons. 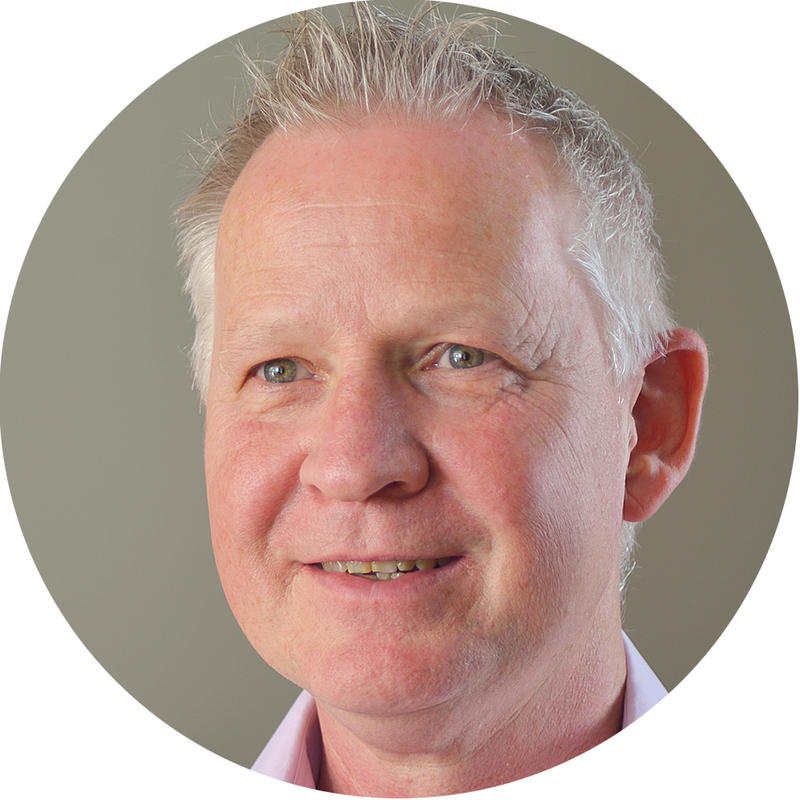 Chris also has excellent teaching credentials where he took his teacher training PGC at Exeter University, and so is very well qualified to teach further education. He has spent the last 12 years teaching adults art. 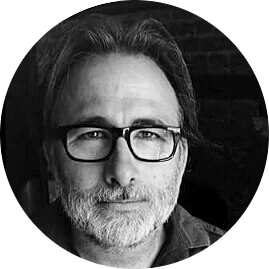 Whilst not teaching, Chris is an accomplished artist who exhibits nationally and sometimes abroad, including New York, San Francisco and Holland. He lives in Fareham with his partner, son and dog, a Jack Russel Border Terrier cross called Marwood. Chris now paints more landscapes, as he paints what he sees and he is out walking his dog and is inspired by what he sees around him. He loves to visit North Cornwall to paint. As a teacher Chris loves watching people develop and create their art, he takes pride in the work that they do and how they express themselves to go beyond what they would normally achieve. Vivienne is our ColourWheel partner in the Reading area. Vivienne was born in Reading, returning there to study Mechanical Engineering at Reading University. She then spent most of her working life in Africa, most recently in Tanzania, where she was coordinating projects to provide clean water and sanitation to some of the poorest communities. She returned to the UK in 2016 and decided to take some time out to do something for her own personal development – she signed up for ColourWheel classes in Windsor. She was so enthralled with the classes and amazed at what she had gained from the experience, that she signed up for a second term and started to enquire about the franchise opportunity. The rest is history, as they say! Vivienne is a keen environmentalist and loves nature and animals, which are her main inspiration when drawing and painting. She believes that art is one of the best therapies for life and wellbeing. 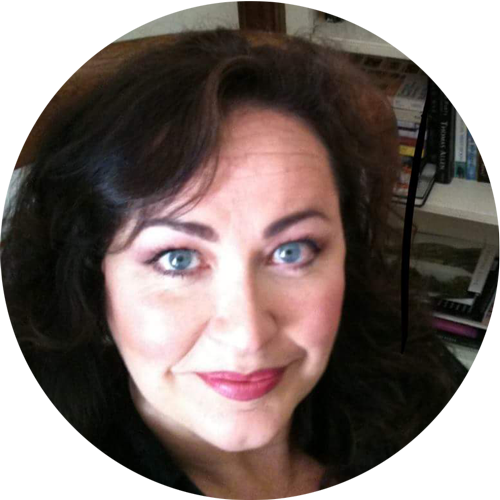 Antoinette is a freelance artist, fine art restorer and visual arts tutor based in Surrey. She graduated from Wimbledon School of Art with a BA (hons) degree in Technical Arts followed shortly after by her training as a conservator of easel paintings. She works predominantly in the medium of painting in both her art and restoration practice, but has worked on large scale installations and sculptural pieces for commissioned projects as well as film and theatre. This has included commissioned artworks for Goldsmiths University, London, Warwick University and other private clients. 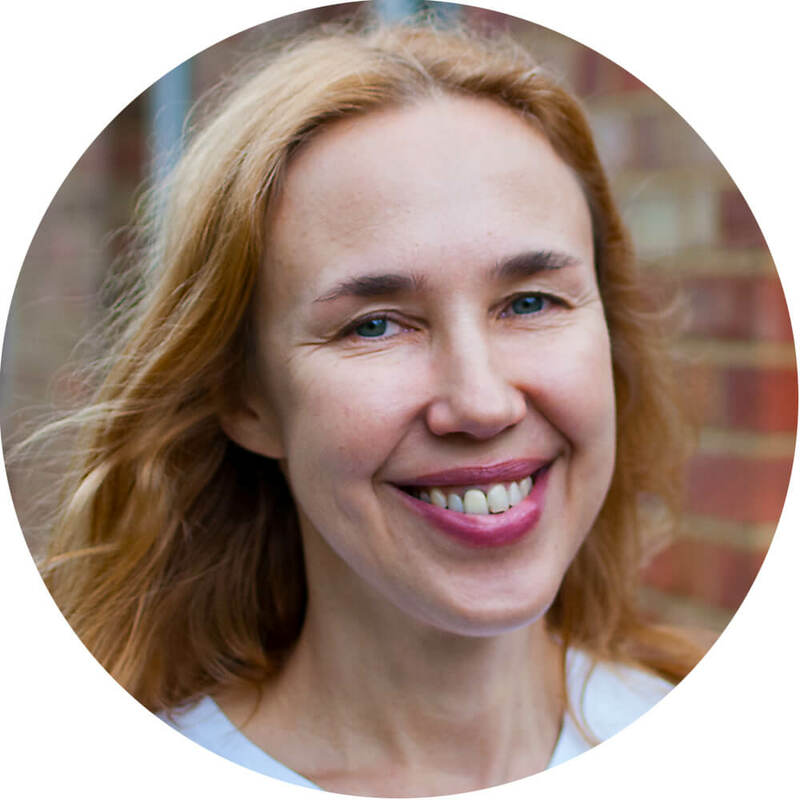 Outside the studio, Antoinette also enjoys teaching visual art workshops and classes in schools, museums and local community settings. 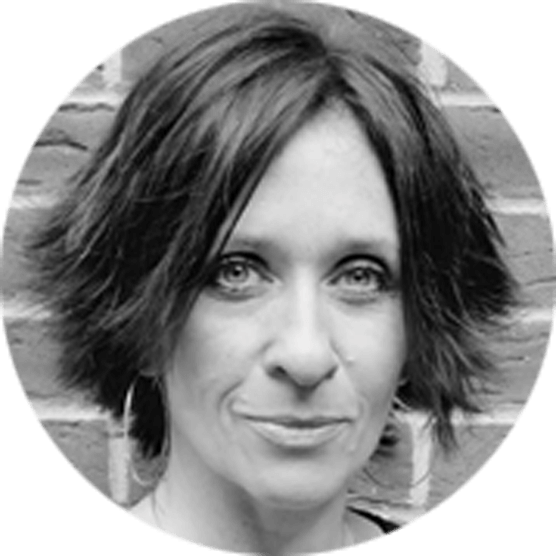 Over the years she has worked with a wide range of young people and adults through organisations such as South Hill Park, the Tate Galleries and Woking College. She looks forward to the opportunity to meet new students and share her creative knowledge and skills. Shelagh is a painter, printmaker and teacher. 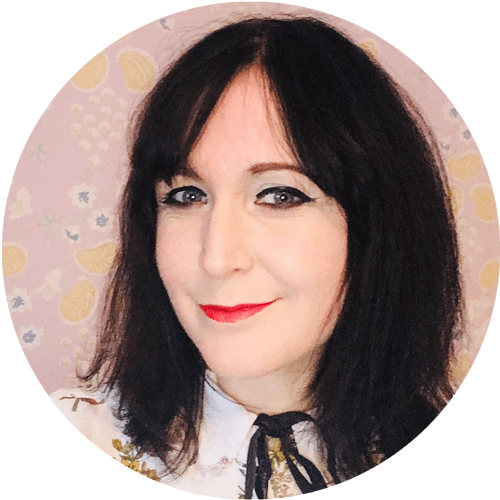 After years spent working in the world of publishing, she went back to university again, gaining a degree in Fine Art from the University of Reading, followed by a PGCE in Art Education. She has taught in schools and in adult education, and strongly believes that everyone can reap the rewards of exploring their creative potential. Shelagh exhibits regularly in group exhibitions and attends as many workshops as time allows – she loves learning new skills and finding different ways to be creative. Visit www.shelaghcasebourne.com to see Shelagh’s work. Joanne is our ColourWheel Partner in Exeter, Devon. She spent most of her adult life living and working in Madrid, Spain. Whilst bringing up her two sons she continued her career in education as a primary school teacher ending up as a head teacher of a British school in Madrid. She recently returned to the UK with her husband, took some time out and signed up for ColourWheel classes in Windsor. She has recently moved to Exeter and ColourWheel presented an ideal opportunity for her. She enjoys all forms of art with music being one of her main passions. She enjoys living an outdoor lifestyle and is never happier than being at one with nature in Devon’s beautiful countryside. Chloe was born in Harrow and grew up in Buckinghamshire. 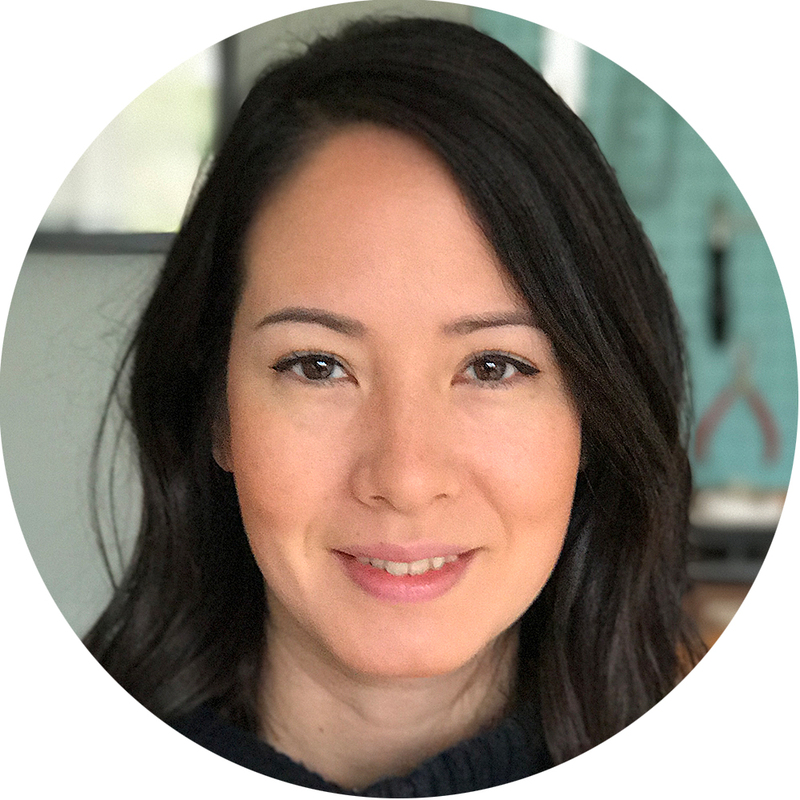 She gained a BA (Hons) in Illustration from Brighton University and went on to complete a PGCE in Secondary Art and Design at Roehampton University, Surrey. 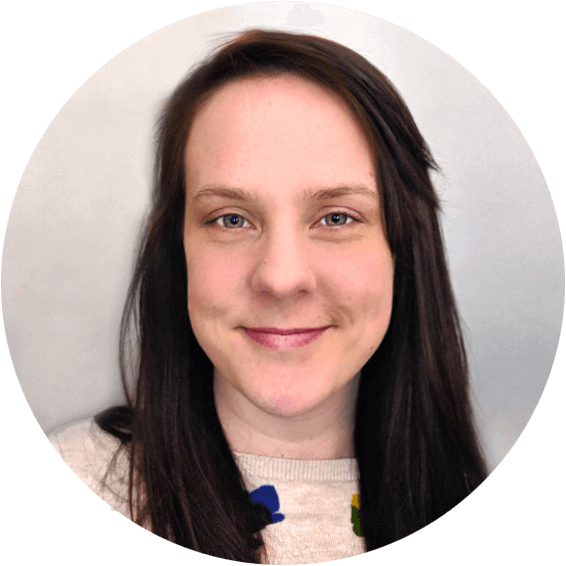 Chloe has worked in the Education Department at Tate Britain where she supported learning programmes for school students, teachers and adults. She enjoys drawing on location, visiting museums, craft centres and art galleries. Chloe also likes to take inspiration from travelling overseas. These adventures include three days trekking along an ancient oxen trail with women from the red Hmong in Sapa, Vietnam. Chloe left her teaching job at Camden School for Girls, after eleven years to relocate to Exeter. Here, she is combining teaching workshops and continuing with her own art practice. 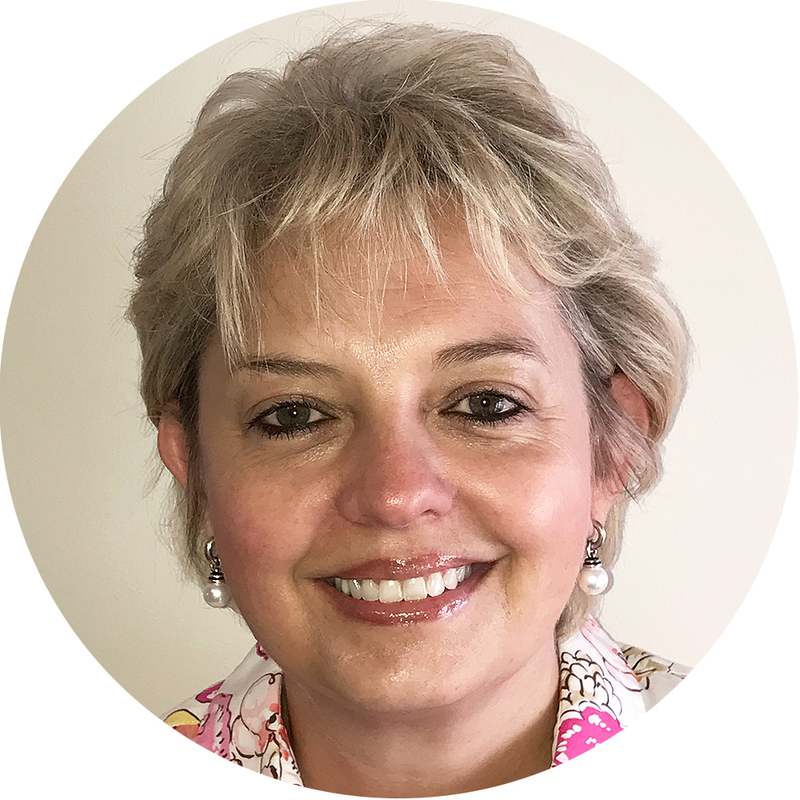 Jacquie has spent the last 20 years of her career in corporate logistics working for some of the industry leaders. Having always had a passion for art and regularly attending part-time courses she wanted to move out of the corporate environment to allow her creative side to flourish. 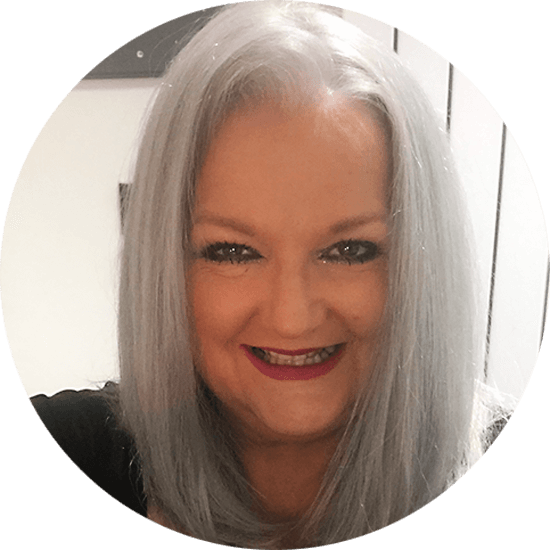 Born in Scotland and moving to Sheffield for work before moving yet further south eventually settling in Hertfordshire she is thrilled to be doing something she is passionate about. 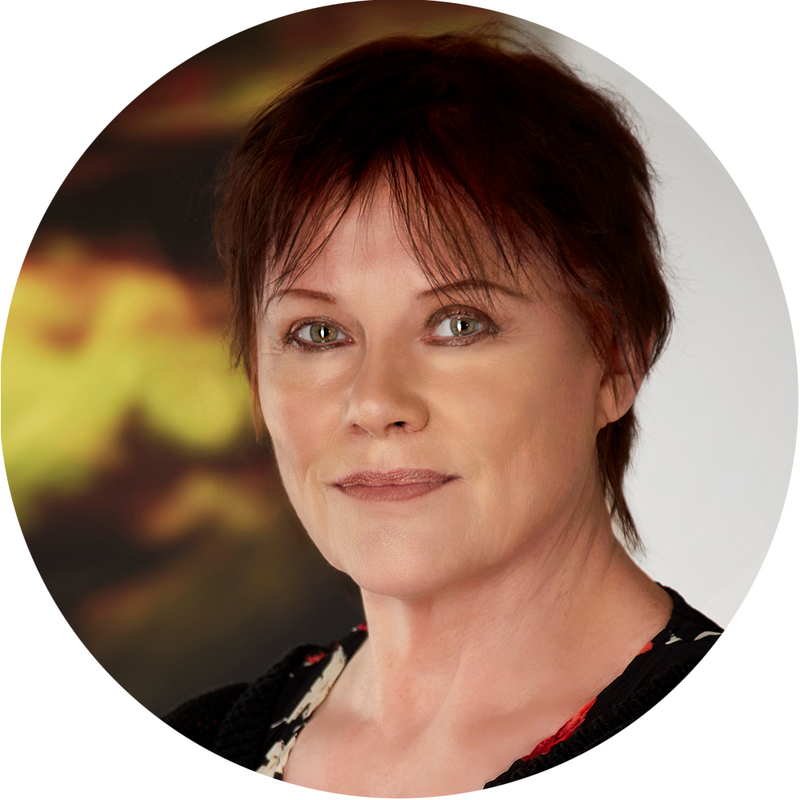 Jacquie loves to read, paint, draw and cook, she restores furniture and lives with her beloved rescue cat Obi. 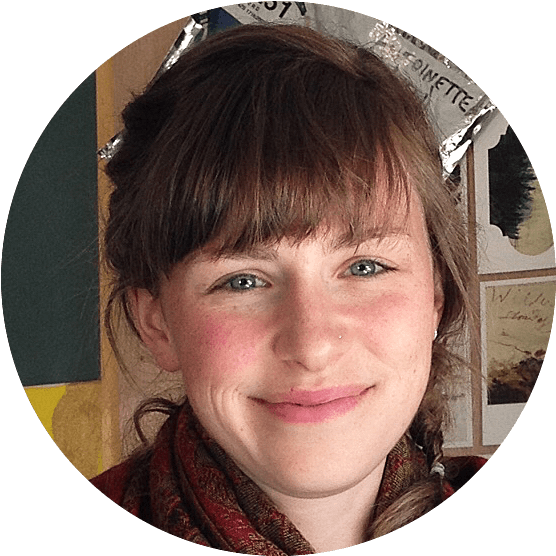 Rebecca has always had a love of art, from drawing colourful characters to ceramics. Because of this, she studied Art and Design before going to the University of Wales, Newport to do a degree in Animation, her favourite part was learning from the teachers of the Disney animators. Rebecca has worked in education for nearly ten years, from teaching art to children and young people that didn’t fit into mainstream education to traditional crafts and archery in an Iron Age village. She currently works in a museum and gallery organising events and hands-on activities for the visitors, alongside finding any excuse to be creative. Charlotte is our partner in Charnwood, Loughborough. She has worked for a local charity for over twelve years where she was responsible for event management and the co-ordination of the volunteers. In 2017 she decided to spend more time with her family, she is married and has two young daughters. 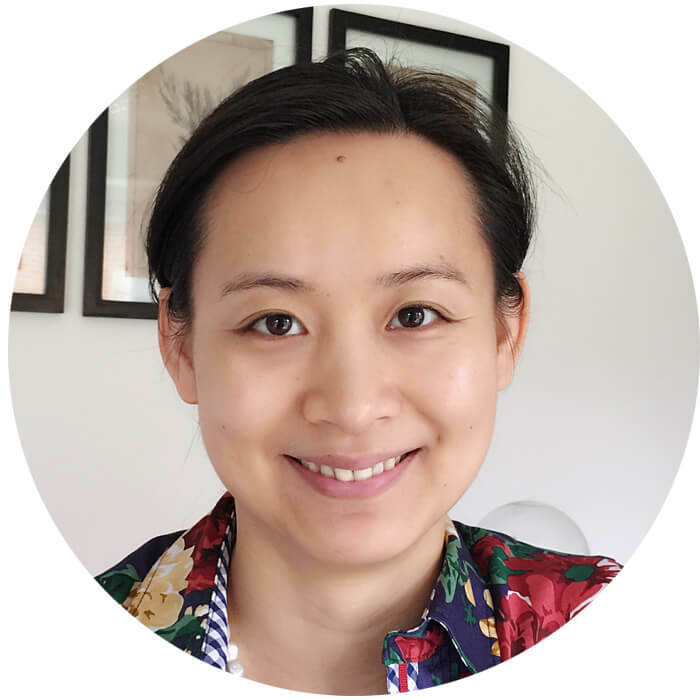 Joining ColourWheel she can utilise her exceptional organisational skills and work in a creative environment she loves. Charlotte is at her happiest spending her free time with her family and friends. Emily is a qualified and experienced art teacher. She gained her BA (Hons) in Visual Fine Art at Nene College of Art and Design. She completed her Graduate Teacher Programme in 2003 and has since taught art to adults and children in a variety of classes. Deemed ‘outstanding’ when assessed Emily loves to teach, she finds it rewarding and fulfilling. 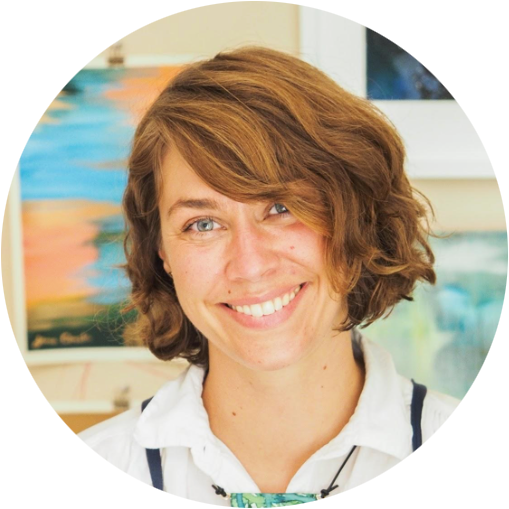 Emily recently took a break from teaching to focus on her own artistic journey, exhibiting locally and successfully commissioned; she sells her work at various art fairs and galleries. We are lucky that Emily has chosen to resume her teaching in a role that will allow her to continue to develop her own work whilst sharing her knowledge with our students. Michael is our Partner in Durham, he will be hosting art classes in the City and surrounding areas. Michael grew up and has lived in the Durham area all his life, he is a husband and a father of two. He has spent a large part of his working life with the Royal Mail and is very much looking forward to a role where he works with people as they learn and grow their artistic skills. He is a natural people person and facilitator who will make sure the students have a wonderful class experience. 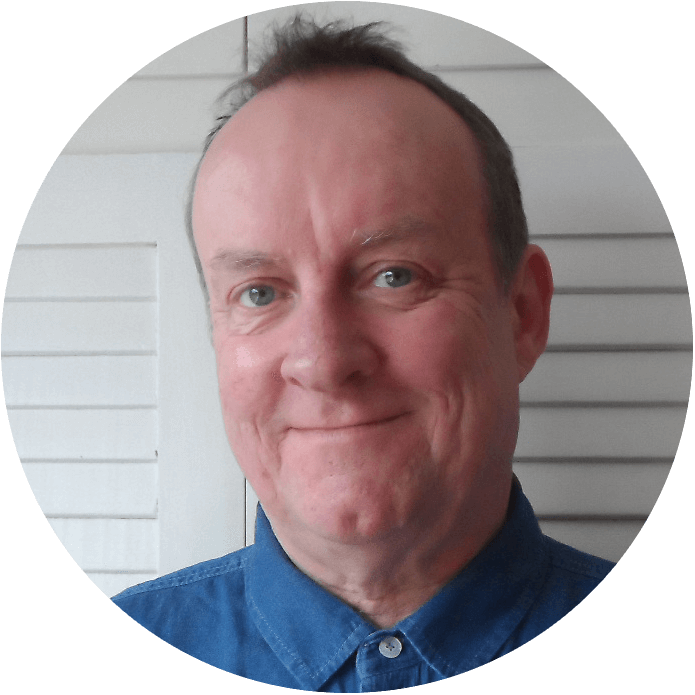 Michael loves the surrounding area, he likes being outdoors and is a very keen sportsman, he loves running, cycling, fell-walking and is often accompanied by his faithful companion, a black lab named Dodge. Jayne went to Cleveland College of Art and Design, then went onto Manchester Metropolitan University where she did her BA Hons in fashion. Moving to London following her graduation she worked in design for 4 years before having a ‘Damascus’ moment and completely changing direction in her career. Wanting to do something much more fulfilling Jayne retrained as a teacher passing her PGCE at Greenwich University. 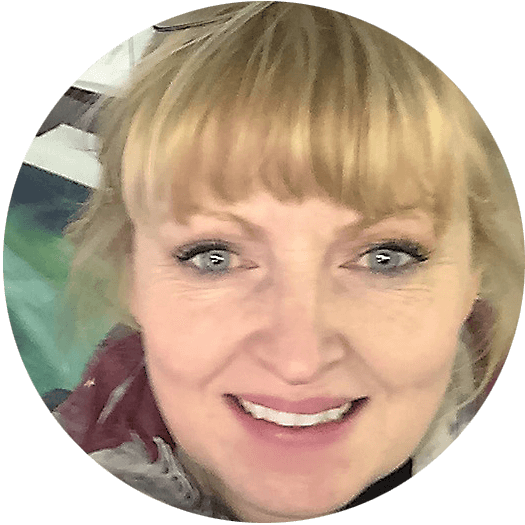 Jayne has taught art for many years, she is extremely active in her community and has a passion for the art and culture of the North East, particularly wanting to bring the heritage of her area to the local children. She has produced murals for the local area and also directed the Durham Ensemble’s performance in Stratford for the Royal Shakespeare Company’s Associate Schools Playmaking Festival. Jayne is currently fascinated by trees and her work is focusing on pen and ink but experimenting with watercolours. She is also planning to get back to life drawing. When she is not teaching, working on her art or looking after her family Jayne loves to work on her allotment growing her own fruit and vegetables. She loves cycling, yoga and travelling in Northern Europe and Scotland where the landscape gives her inspiration. Jayne is married with a daughter and lives just moments from our Durham venue at Ushaw College. Neil is our ColourWheel Partner for the Wyre Forest daytime and evening classes located in the lovely Georgian town of Bewdley. Neil is a ‘Bewdley’ man born in nearby Kidderminster, never having strayed far, he knows the Wyre Forest area well. He has worked in a number of sales and sales management roles throughout his career and now seeks a change of pace and direction in joining the growing ColourWheel family. Neil is a father of 4 and has 2 grandchildren. Very much a ‘people’ person, Neil is looking forward to welcoming aspiring artists to his classes confident that they will truly be amazed and proud of what they can achieve within a relatively short period of time. 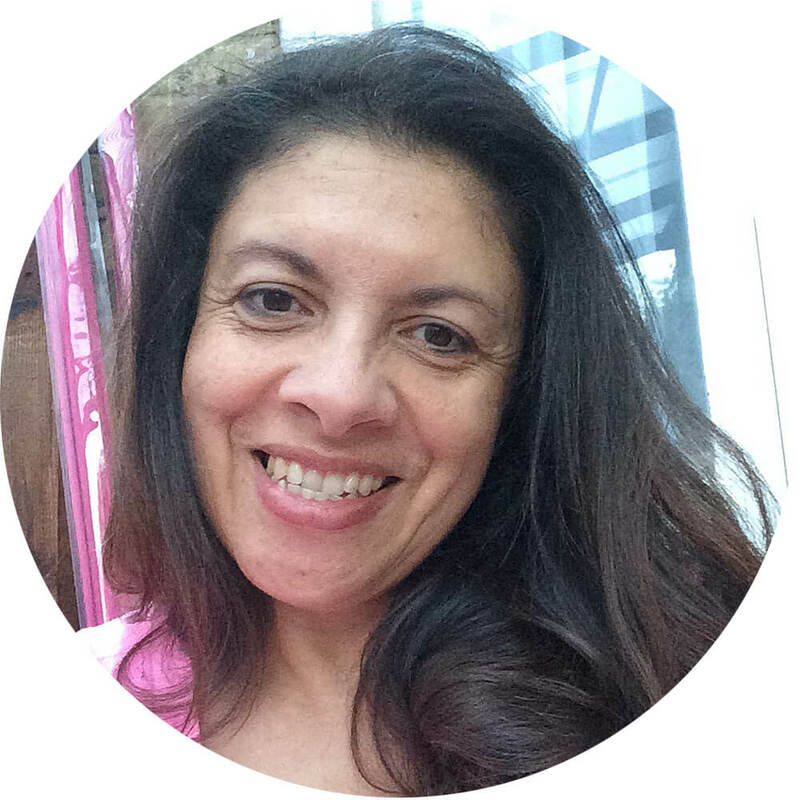 Angeli is a Partner covering the beautiful villages in Runnymede and Surrey Heath. Born in Hampstead, London, Angeli grew up in Old Windsor on the Berkshire/Surrey borders and has lived, worked and studied across London. Initially a business graduate, her career followed various roles in buying, sales and marketing, mainly in the IT software industry, providing a rich source of skills for business support. Whilst working and looking after her family Angeli pursued her interest in developing her creative skills through part-time college courses, subsequently graduating with her BA (Hons) Fine Art from the Buckingham Chilterns University College. She enjoys country walks, pottery and DIY, including a project to set up a garden art studio. Nathalie has always had a passion for drawing and she specialised in Art and Art History whilst studying in France. She did her Foundation course at Atelier de Sèvres Babylone in Paris and then attended the Olivier de Serres Art School. Moving to England at 23 she specialised in murals, taking commissions from schools, restaurants and also for homes. Nathalie developed a strong interest in portraiture exhibiting four times at the National Portrait Gallery as part of the BP Portrait Award. Recent commissions include Sir Christopher Snowdon, Vice-Chancellor of the University of Surrey and Dame Helen Alexander, Chancellor of the University of Southampton. Nathalie has been teaching for a number of years and enjoys encouraging her students to explore their artistic side and develop their skills. Caroline was awarded a Distinction at Master’s Degree level in Fine Art and Design. 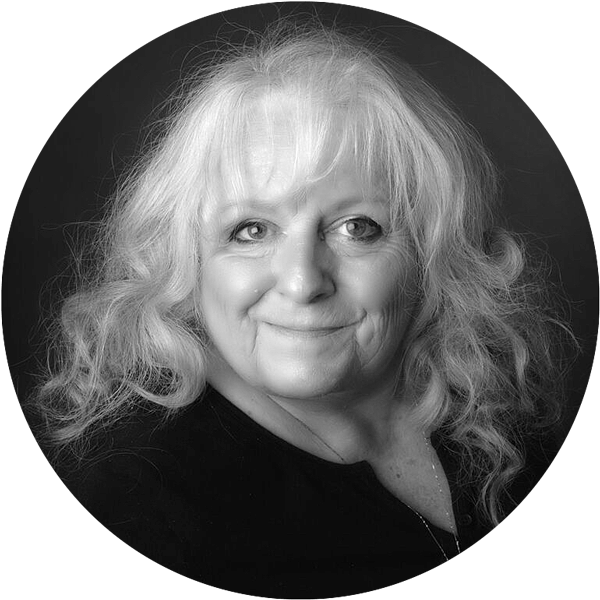 She is a practising artist with many years teaching experience including teaching in one of the highest achieving schools in the UK. 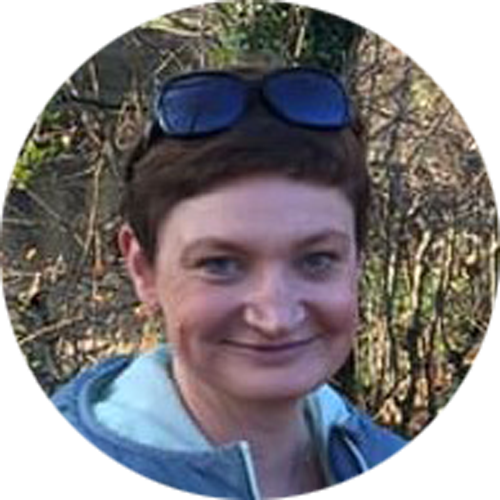 Caroline has a wide range of creative skills that includes working in schools as artist in residence, delivering and compiling schemes of work; working with all age groups and abilities. She prides herself in teaching/leading classes in a warm and friendly atmosphere where students can learn about new creative skills with lots of interaction and positive enthusiasm. Caroline can teach to any level, if you have not picked up a paint brush since school, or would like to improve, learn new techniques. Sally is our Partner in Cheltenham. 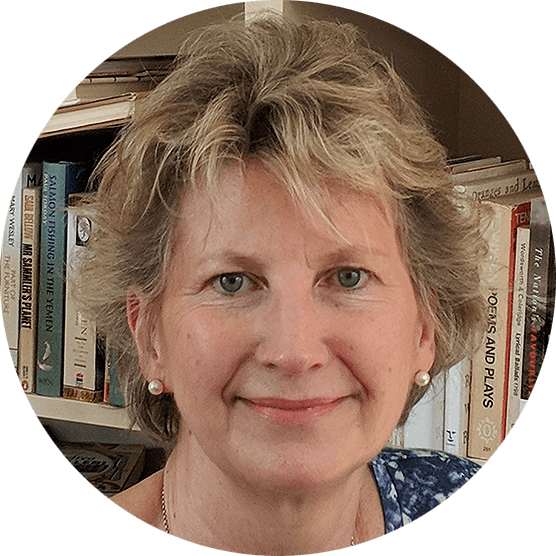 Sally’s background, before leaving to look after her growing boys was hospitality, she lived in Bahrain working with the airlines, followed by arranging and wedding planning; she has also spent time as a teaching assistant. Sally now looks after her family, she loves keeping active and spending time with her beloved chihauhuas, Saphire and LouLou. Sally loves design and has a special interest in art therapy, particularly in the area of mental health. 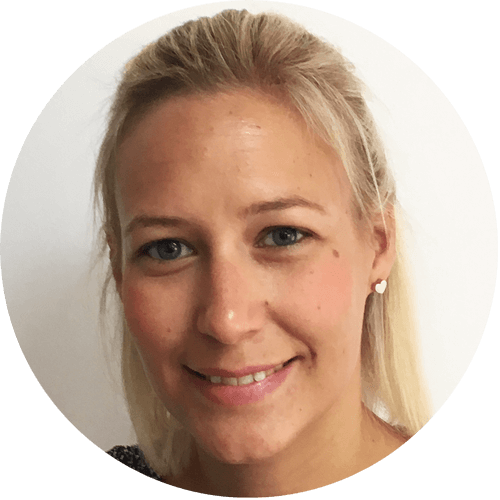 Emily is our Partner in Guildford, she is married with three children, all girls! Emily started her career as a dancer before studying for and gaining a qualification in interior design. 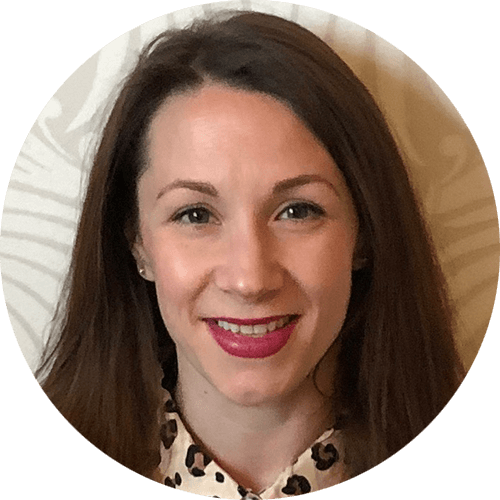 Emily is highly creative but has an innate sense of customer service, she runs lovely daytime and evening classes at her beautiful venues in Godalming and Guildford. Rav is our partner in the beautiful, rural region of Worcestershire, managing classes in Worcester and Malvern, located at two of Worcester’s most iconic and characterful Abbeys, The Abbey Hotel and Stanbrook Abbey. She grew up in the midlands and studied finance and management. She has spent most of her career in sales and marketing working nationwide. She enjoys travelling with her husband and taking advantage of Worcester’s many walking trails. She has a very philosophical view to life and thrives on encouraging others to realise their true potential. She believes that through art people can express themselves in ways that they didn’t think was possible. Linzi trained at Bradford Art College gaining her B.A. in Art & Design. She went on to become a named designer at Liberty’s and sold her hand-printed silks exclusively in Liberty’s of London. Linzi had always written and performed her own songs and she signed to Warner Chappell’s as a songwriter having won the Nordoff Robins singer songwriter award through Radio 1. She gained her teacher training and PG Cert in Fine Art & Professional Practice and went on to become Head of Art/Textiles in London. Linzi became Assistant Director for KW4K’s which culminated in a charity performance in aid of Anti-Slavery International at the Linbury Theatre, Royal Opera House called ‘Break the Chains’. Her interest in art, theatre, set design and music has been a constant thread throughout her life. From set designing on London fringe productions to set design for a production at The Traverse, Edinburgh Festival she has facilitated community music and art projects both in the UK and abroad. In 2007 Linzi devised and led an Arts initiative in Banda Ache, Sumatra, following the tsunami. She worked with over 100 students who had been directly affected by the tsunami, creating artworks with the children to raise money for the Sukma Banska schools. 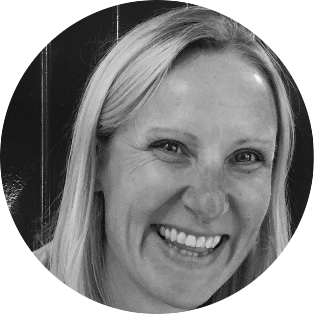 Linzi worked at Compton Verney Art Gallery in the Learning Department, before becoming Head of Art at The Croft School for five years. 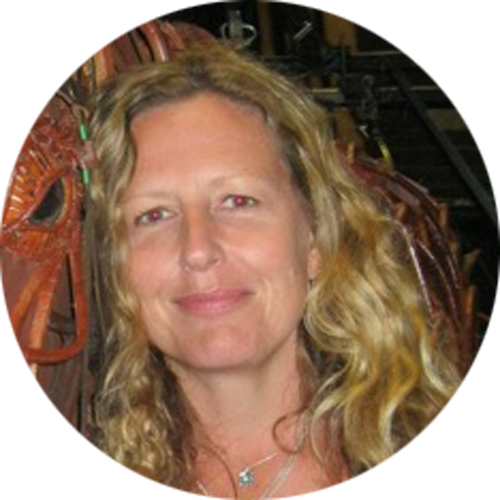 She continues to work with ‘Stratford Youth Theatre’ making and designing sets and props for their productions. Presently, working as a freelance Artist/Teacher she continues to make and exhibit her ceramic sculptures and prints. She is particularly drawn to textiles and drawing, selling her work at Narberth Pottery in Pembrokeshire. Linzi hosts and produces The Art Show on Welcombe Radio, Stratford upon Avon, a community radio station. The Art Show showcases and celebrates all art forms made in the community, and is an online space that enables creative people to share their work. Rania lives in Didsbury since she came to England in 2006 and she is married with three children. Rania trained in design and art direction and studied for her Masters degree at Manchester Metropolitan University. 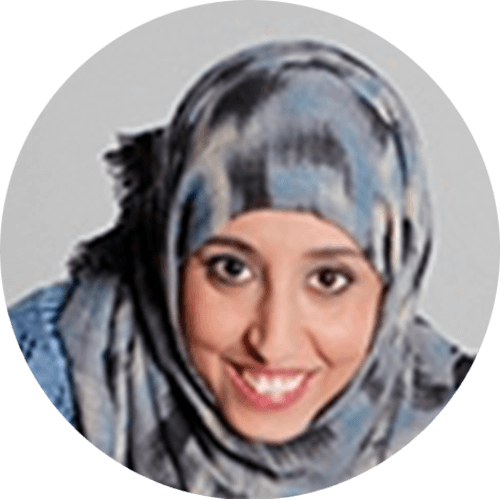 Rania has since worked as graphic designer and also a teaching assistant. Rania loves art in all its forms, she loves to draw and graphic design is her passion. With three children she does not have much time for hobbies but when she does likes to swim, go the gym, read and travelling. Rania is delighted to be working with students to develop their skills and interest in art, it’s a passion she shares. Kathy is our ColourWheel Partner in Stockport. Kathy lives in Stockport with her partner and son. She has spent 10 years working for local charities involved in health and dementia, supporting and managing volunteers. 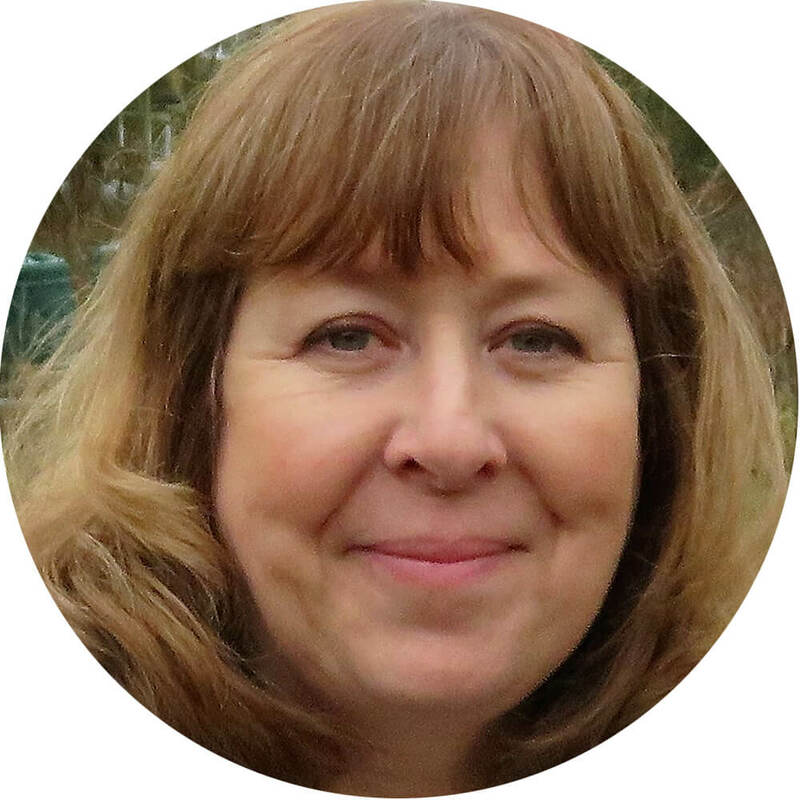 Kathy is also a trained English teacher, and enjoys working with people to help them achieve their best. She loves being creative, cooking and being outdoors and travels around the country in her campervan whenever she can. She welcomes everyone to her friendly, supportive art classes. 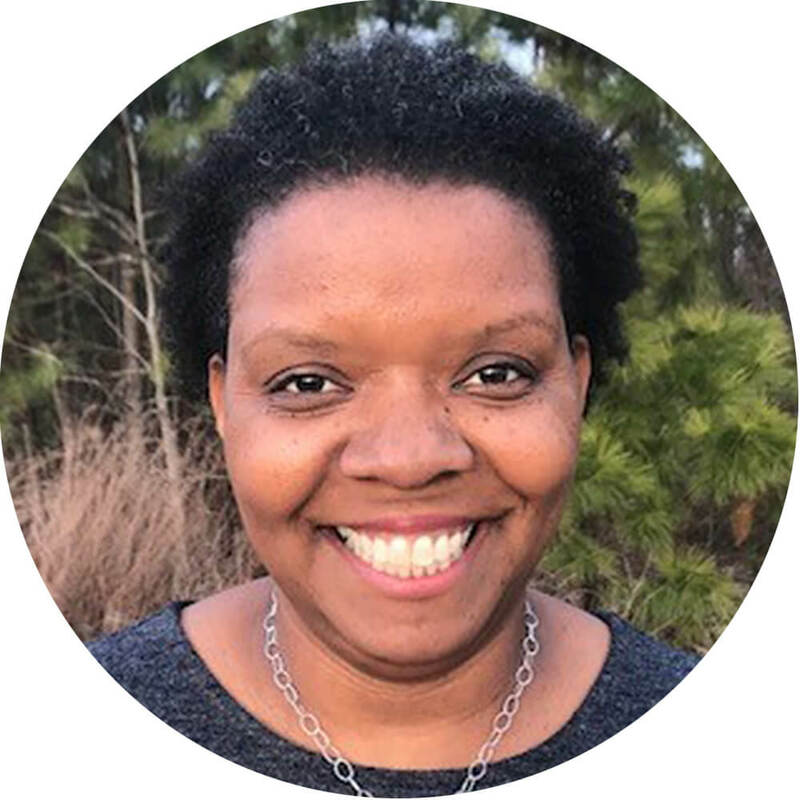 Asia enjoyed teaching adults and children for 20 years, self publishing a book, and being a small business owner in the personal development industry. Asia loves playing with watercolor, working in her herb garden, and creating jewelry with precious metals. She is passionate about exploring a variety of mediums which attracted her to ColourWheel. Asia and her husband, James, have two grown sons. She lives near the North Carolina Coast, loves the outdoors, and enjoys visiting the beach every chance she gets. Asia loves meeting new people and creating a community space for people to get messy, make mistakes, and shine. She looks forward to welcoming you, supporting you and cheering you on in art class. Jane Cheek’s brightly colored abstract canvases combine expressionist painting with fiber art. She uses embroidery to create subtle detail and sculptural fibers to add dimension to her work. The dichotomy of life informs her process and she often works with opposing elements as a result. Cheek’s art juxtaposes opacity and translucency; two dimensions and three; and structure and complete abstraction. Her color palette is inspired by nature, while her form and structure take inspiration from her life, both past and present. Cheek’s work is a daily practice of seeking and creating joy and her art is an examination of the beautiful mess that is life, love, motherhood, and humanity. Jane Cheek attended North Carolina State University where she received a BA in Visual Arts Applications. She then completed her K-12 Visual Arts Teacher Certification at Eastern Carolina University. After graduating, she taught art for five years at a K-8 charter school in Durham. She now teaches private art classes and works as a studio artist. Cheek has exhibited her art throughout The Triangle, including at 311 Gallery, Artspace, and The Arts Center. When she isn’t working on art, she and her family can be found living the unschooling life at local parks and museums, and travelling as often as possible.